Thread: Congratulations Heath Ledger. You deserve the oscar! 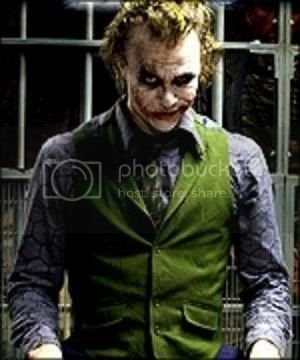 I'm sure fans of Dark Knight are thrilled that Heath got the best supporting actor win. We'll miss him. His performance of the Joker is fantastic. R.I.P. Heath! Isn't this supposed to be the first ever Oscar to be awarded to a late actor? An entertaining, fascinating, amusing, frightening, amazing performance. Congrats, and RIP. I guess Peter Finch died two weeks before getting an oscar for his role in Network. The character definitely made the film.